Euro 2016 is upon us. In under two weeks, the European Championships will kick-off in France, and like many football supporters, sports betting fans are going to be right in the heart of the action. If you want to place bets on the games in this summer’s tournament, why not place them with Bitcoins. If you love anonymity, no nonsense betting, and a quick registration process, then these are the best Bitcoin sportsbooks for betting on Euro 2016. But first, let’s take a look at the tournament itself. The fifteenth edition is vastly different than other European Championships, which have come before it. For the very first time, UEFA has permitted 24 teams to compete in the finals (as opposed to the 16 which normally make it), extending the tournament length, too. The competition will run from June 10 until July 10, and a new Round of 16 will occur after the Group Stage. There are some notable absentees from this year’s tournament, including The Netherlands, and Greece. Iceland, Wales, Albania, and Northern Ireland will also be seeking to impress in what is the first major tournament for some of those countries. They countries are likely to exit early on, so expect some rather sizeable odds on them to win. Of course, the big dogs have also turned up at the tournament. Hosts France are right up there amongst the favourites, and they have the easiest group of all. Big things are expected of a young England side, too, whilst World Champions Germany are going to want to prove that their World Cup win was no fluke. Italy have been drawn in the group of death, and Spain will be desperate to prove that their day is not done, as they aim to retain the trophy they have won two times on the bounce. Bitcoin sports betting is a wonderful thing. With Bitcoin sports bets, you can place wagers on your favourite sporting events completely anonymously. This digital currency allows for fast withdrawals, too. By betting with Bitcoins, you can often override some of the more serious and restrictive policies in your countries when it comes to betting on sports. Many top Bitcoin websites offer registration free betting, including Direct Bet, and Nitrogen Sports. 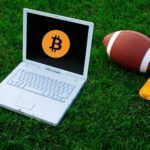 If you want to partake in Euro 2016 sports betting with no registration, total anonymity, and no questions asked, these two top Bitcoin sportsbooks are the way to go. There are also Bitcoin websites which only take seconds to register, and they give you added perks such as bonuses on occasion, as well as a more in-depth Euro 2016 sports betting experience. You will still have total anonymity with these websites, but you can use usernames and passwords to give yourself that extra added bit of security. 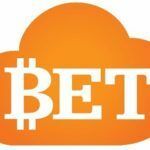 Come and check out BetBTC, or CloudBet for two of the leading Bitcoin sportsbooks offering such services. Other top places to play include mBit Casino, Vegas Casino and Betcoin Sports . You certainly won’t be disappointed with what you find there. Fancy getting close to the action? 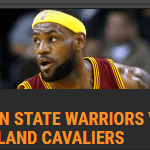 With SportsBet.io you could stand a chance of doing exactly that. All you have to do to be in with a shot of winning tickets to Euro 2016 is simply place bets at SportsBet.io. If you’ve got a mind to wager on these amazing summer footy games, why not do it with SportsBet.io. 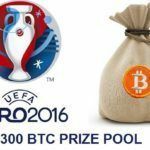 On June 10, the online Bitcoin sportsbook will hold a draw for all participating players, with one lucky user bagging two tickets to a cracking Euro 2016 game. If you want to soak up the atmosphere of France 2016 whilst placing Bitcoin football bets, then SportsBet is most definitely the way to go this summer. BitStarz first to also offer iSoftBet Slots for Bitcoin wagering!